With Apple’s recent price reduction for the original Apple Watch and its software update to watchOS 2.3 paired with iOS 9.3, I finally decided to give the hipster of smartwatches a try. But how is that going to work out? I’m a person that enjoys Apple products in many niches and life situations, from office work to creative projects in video and photography productions and applications as simple as personal entertainment. But there’s one problem. I’ve never been a fan of watches. Those awkward timepieces on your wrist: always on the wrong side, no matter which side they are on, and in your way with clothing, working and laying comfortably. But I’ve always been the rather strange person when it comes to common things like that. Let’s give it a try and see if I can fall in love with something I’ve hated for so long. Apple Watch’s quality is simply superb. In my case I ordered the 38mm Apple Watch Sport with the color combination of a golden aluminum case and an antique white fluoroelastomer band. The Ion-X glass feels very solid and its rounded edges smoothen the touch experience. The digital crown is really a charm to click and scroll with. The way the interchangeable bands are mounted with a magnetic lock is quite nice, but in my case the Sport Band does have some space to wiggle around when not worn. Once you put it on, it’s solid and stays in perfect symmetry with the Apple Watch. Wearing the watch is better than expected. The rather chubby design of the unit lets one expect to wear a clunk of heavy machinery on your arm, but you’d be mistaken. It feels much thinner on your arm, but I might have to agree on the opinion of many that it could be thinner in its next generation. The sensor unit on the rear of the Apple Watch case does protrude quite a bit and leaves a mark of wear on your arm after a while. It does rarely feel uncomfortable though. The Apple Watch is offered in both a 38mm and 42mm sized case with different band sizes accompanying the watch. It features 512MB of RAM and 8GB of internal storage. This lets you store quite a few songs on the Apple Watch that you can listen to with your wireless headphones through the watch’s bluetooth connectivity. The actual chip is the single-core Apple S1 and includes WiFi, NFC for Apple Pay, Bluetooth and is built on a 28nm die. While the 38mm display features a resolution of 272×340 pixels, the larger 42mm watch has 312×390 pixels, but they both feature the same 326 dpi raster and are covered with strong Ion-X (Sport editions) or Sapphire glass (all others). A speaker and microphone are also included to allow for phone and Siri conversations right on your wrist. Notifications are a big thing with the Apple Watch. Most of the time it acts as a notification display for the iPhone in your pocket to inform you about new messages, mails, calendar events, turn-by-turn navigation call-outs, phone calls, your activity goals for the day and a quick response option. You can customize your watch in many ways. The hardware can be chosen in many different colors and types (Aluminum, Stainless Steel and Limited Editions) and combined with an almost endless variety of watch bands from both Apple and third-party manufacturers. Finally, you can customize the software part of the watch to your likings as well. The variety of watch faces can be adjusted with different colors, motives and custom pictures as well as exactly the style and detail of information that you like to see. Additional features within the Apple ecosystem include AppleTV remote, iPhone remote camera trigger and display, a way to pay with Apple Pay and a HomeKit interface. Another big feature set is the health and fitness department. The Apple Watch’s fitness program revolves around three different categories. Standing, moving and exercising. Apple suggests you to stand for at least 1 minute per hour for 12 different hours of the day, to move for an adjustable amount of calories and exercise for at least 30’ each day. Even without additional third-party apps, the watch is capable of tracking a variety of activities such as walking, running, cycling, rowing, stair stepping or elliptical training both inside and outside. Part of the tracking information comes from the integrated accelerometer, but initially you should carry your iPhone along for a more accurate representation of the burnt calories. The second set of features address the HealthKit of iOS and watchOS. 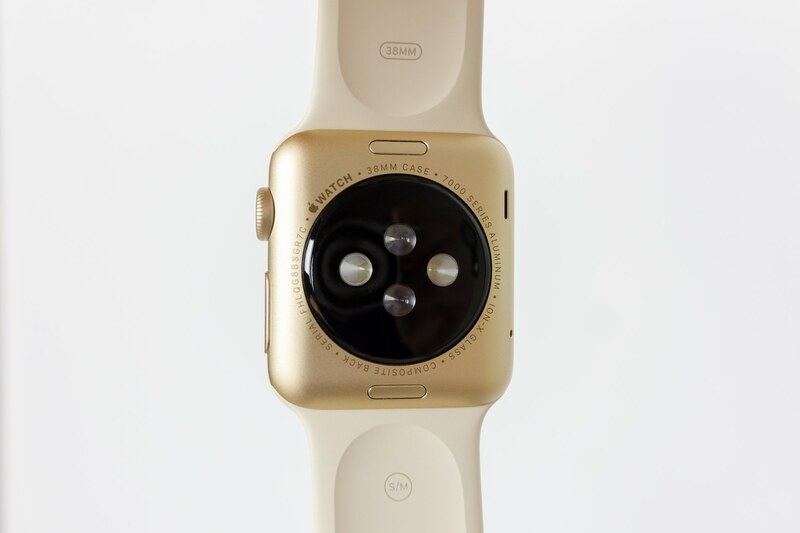 The integrated heart rate sensor at the rear of the watch case is tracking your heart beat on a regular basis and logging it into your iPhone’s Health app. With third-party apps you can make great use of the HealthKit API that is offered by Apple’s operating system. On my first day I thought the battery of the Apple Watch wasn’t up for the task. But I was wrong. On both your average day (usually ends with 50% battery left) or a more busy and active day (never less than 25-30%) the Apple Watch’s battery is doing its job. Enough power for a full day of living, traveling and enjoying your technological assisted lifestyle. Quite amazing that a device that powerful can last a full day on just a 0.78Wh (38mm) or 0.93Wh (42mm) small battery. Recharging is done over night when you finally decide to get some sleep. Put it on your night stand, let it charge and put it back on when you wake up. It’s not designed to be a sleep monitor, so you should take it off anyways. There really isn’t any advantage to wear it overnight. I’m not sure if this should be considered a bug or expected behavior, but whenever I use Siri to dictate an iMessage to be sent, it only offers you to „not send“ the message. There is no option to actually send it. The only way this can be done is to use Siri again and say „send message“. I really consider this something that should be fixed. 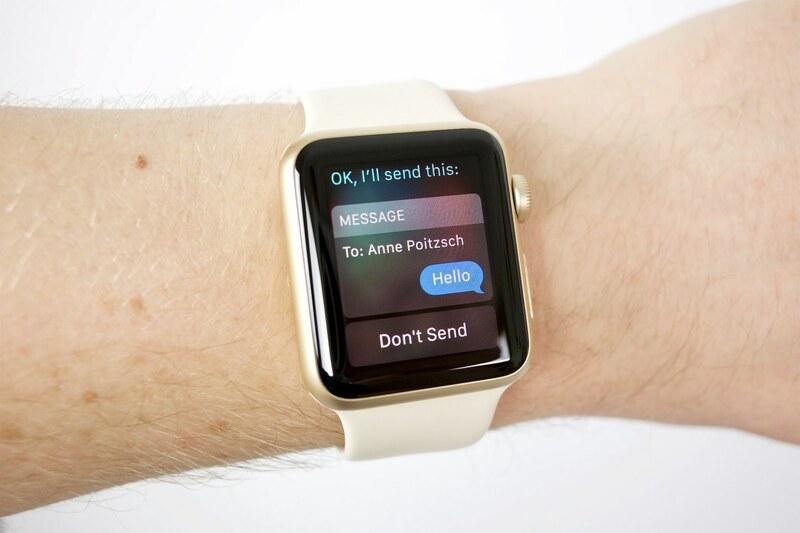 With recent tests it seems that the Apple Watch sends the iMessage when you click the digital crown a certain way. But this still seems to be a hassle to me and not really controllable or intuitive as it should be. Siri in general is a great tool on the Apple Watch as it is basically your only way to input lots of data and get things done. Something I would actually enjoy is if Siri would actually talk back like on the iPhone instead of just writing some text on the display to read and respond to. For the free apps that I have tried so far, they often seem to lack refinement or actual usability on the Apple Watch. Yes, there are a few exceptions, but let’s take a closer look at the Apple Watch’s native application limitations. Your custom application is capable of loading data from the web or receive data which is sent from your iPhone application. So you basically can only use your watchOS canvas as an extension to your original iPhone app. Access of features such as GPS coordinates only works through relaying the information from your handset. As the Apple Watch comes with an integrated accelerometer to enable your „Raise to Activate“ feature, you could make use of CoreMotion limited to pure accelerometer readings. Advanced frameworks such as HealthKit, PassKit and HomeKit are available to an Apple Watch developer. 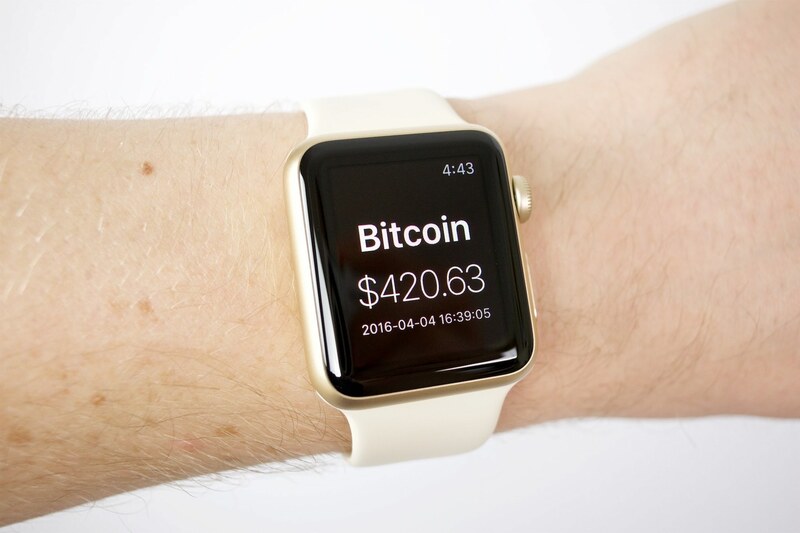 Trying to understand how watchOS works, I decided to code a quick application that reads the current Bitcoin price from a web-based JSON data provider and display it for the user in a Glance and the Watch app’s main interface. Glances, enabled by swiping from bottom to top, are an easy way to display a user interface to check on data, facts or information you’re looking for without actually navigating through your applications. If you tap a Glance you will be forwarded into the application itself, where you can include buttons, motion graphics, scrolling and dynamic content. This is your main application power. But there’s one more thing you can do: a complication. It does sound like it is [complicated], but it’s actually quite simple. Complications are facts, numbers or graphs that can be implemented into the user’s watch face and are available in different sizes. They are modular small (mid-sized square) and large (full-width three-liner), circular small (round and tiny) and utilitarian small (half-width one-liner) as well as utilitarian large (full-width one-liner). It depends on your watch face which one of these can be applied as certain watch faces only support a specific type of complication. They also let the user use a feature called Time Travel, which empowers the user to look into the future for things such as upcoming events and temperature or weather forecasts. These can be quite powerful if developed and used properly as they provide a completely new way of interacting with the Apple Watch. And conventional methods or interface types might just not work with a device that small, but quickly reachable. My personally developed app currently only features a Glance and the regular WatchKit extension app, but I’m looking into integrating a few different complication sizes in the future, as that would be a fantastic way to get the desired information update, similar to the stock market. The Apple Watch is a fantastic device that actually reinvents the way a user might interact with his technology. As Apple stated repeatedly in keynotes, the Apple Watch is a device as personal as no device they have ever created before. It’s on a completely different level and therefore requires quite a different approach to customizations, security and the way the user interacts with it. Over the past week that I’ve constantly been wearing the Apple Watch, I found myself using it more often than I would have expected. Checking time, checking weather, trying to get up once per hour and reading iMessages as soon as they come in. Sure, these are all things that I’ve previously done with my iPhone or iPad, whichever was closer, but being able to do that instantly with a device on your wrist makes life a little bit easier. 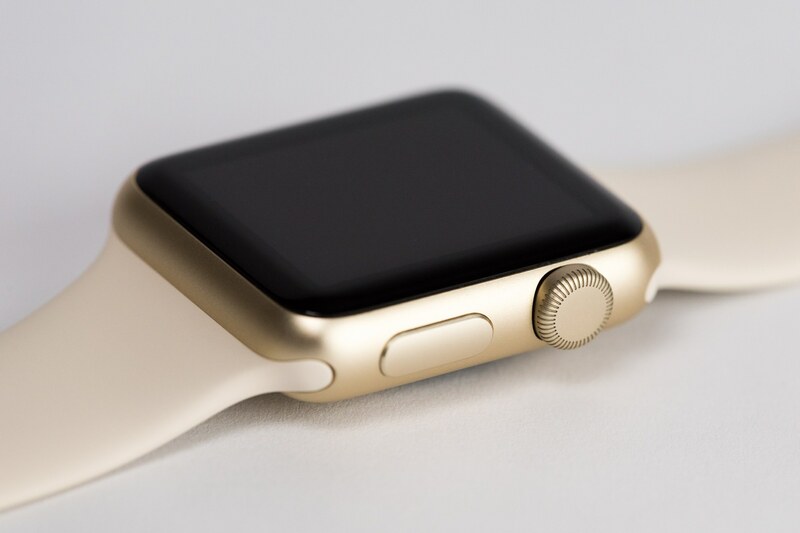 Would I actually keep using the Apple Watch? Not in a constant fashion. I’m just not comfortable with a watch on my wrist all the time. But I like to wear it going out for dinner, shopping, on the road or in meetings. So I would keep it ready to put on whenever I like to make a good impression on someone and take it off whenever I get in my comfortable zone. Just like putting on a pair of jeans or suit pants instead of your couch pants and vice versa. This is really just a strongly personal opinion and my personal case of application. If you are into fitness and sports, then the Apple Watch is an excellent companion for your activities – no doubt about that.